Buying a new house is an exciting investment! You are choosing a new place for you (and your family) to make memories that will last a lifetime. You do not just want a new house. You want a home. It can be easy to get caught up in finding homes that meet all the items on your list, whether it be traveling distance from your work or a certain number of bedrooms. But when you are looking at places in Frankston, conducting pre-purchase inspections is a crucial part of the process. Building and pest inspections are important to help you make an informed decision on a significant investment. This new property could be yours for many years, and you will want to ensure you know everything about the condition of the property before you buy. Property inspections are like a doctor’s check-up for your Frankston house. Property inspections give you information about what is “healthy” with the house, and what areas have minor or major structural defects. Armed with building inspections information about the current state of the property, you can make the best possible decision. You will discover which areas may need maintenance or repairs and a rough estimate of how much it will cost. It is important to conduct thorough building and pest inspections so you can make an informed purchasing decision. But simply knowing about areas of minor or major structural defects is not enough. You need to understand the scope of these flaws, as well as the process required to fix them. It does not help much to know there is a defect if you are not aware of the time and cost to remedy the defect. 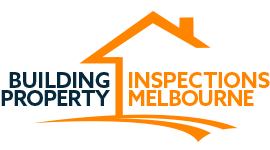 Our staff at Building Property Inspections wants to help guide you in your property purchasing process. Our building inspections are designed to be as thorough as possible, while also being timely. We know you are excited to move forward in your house finding process. We do not want to slow you down. We will take the time necessary for a thorough inspection, but our workers are quick and efficient. During our building inspections in Frankston, we examine everything. We take care in considering the surrounding of the property, the exterior of the building, the roof, the sub-floor level, and every other aspect of the property. We know you do not want a report filled with inspector jargon. Our report details everything we found but explains in an easy to understand way. The report lists any defects we found, accompanied by colour photographs, in a detailed report. We also will offer recommendations for areas of possible maintenance or areas you can fix to prevent minor or major damage. We also conduct timber pest inspections, examining the inside of the house, timber fencing, and old trees (which serve as fertile termite nesting areas). Our property inspections in Frankston are designed to be as helpful for you as possible.